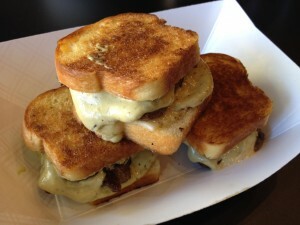 I enjoyed my sliders, although the toast was too oily. The beef is cooked through (when I attempted to order it medium rare, I was told that the meat is too thin to cook medium rare) and well-seasoned. The avocado mayo was greenish, but had no avocado flavor. The havarti was nice and gooey. 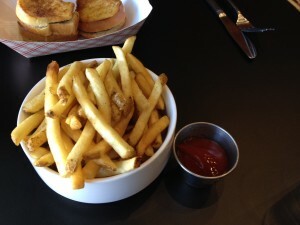 The fries ($5) were good – hot, crispy and salty. Our waitress was young and disinterested; she disappeared and never came back. There is a lot on the menu I would love to try, so I’ll definitely be back.